The Contemporary Media Regulation topic requires students to answer a broader question concerning how effective regulation is. This includes whether regulation should be stricter; how regulation needs to adapt in response to changes in society and developments in technology as well as other important questions about the regulation of media in modern society. 1. Copyright regulation online compared to the regulation of the press and the Leveson enquiry. 2. Classification of films (e.g. BBFC) compared to regulation of online copyright. 3. Regulation of television advertising compared to online copyright regulation. 4. Internet regulation – control of online gaming content / access compared to online copyright regulation. 5. Press self-regulation (Press Complaints Commission) compared to online copyright regulation. 6. Online copyright regulation compared to the regulation of social media. 7. The regulation of media ownership compared to online copyright regulation. 8. Online copyright regulation in the UK compared to state media regulation in less democratic countries. 9. Comparing online copyright regulation today to offline / older forms of copyright regulation. 10. Videogame / app access regulations compared to online copyright regulation. Please remember that the OCR specification requires the majority of case studies, texts and examples used to be contemporary, which is defined as from the five years leading up to the exam. Therefore, please make sure you choose recent case studies, or if you are comparing regulation in the present to that of the past, ensure you spend most of your time on what is happening now. This resource offers a cross-media case study that will be most productively used in comparison with a contrasting area of contemporary media regulation, some of which are suggested (see Strategies for Case Studies). Students preparing for the OCR Critical Perspectives in Media exam could use this resource for other topics as well as Contemporary Media Regulation, such as Media in the Online Age or We Media and Democracy. Students are required to cover more than one media, but as online media generally converge previously separate forms, using these resources should cover this criteria. The specification also stipulates that they make historical references and discuss future developments. Again, as these regulatory issues present new challenges, looking back to previous approaches to copyright, and discussing the different ways in which future legislation could work, the topic lends itself to these factors. Media students tend to engage the most with the subject when they are able to analyse and reflect on the ‘mediation’ of their own lives and culture, and this resource will lead them to think in new, more informed and academic ways about their own use and creation of digital media, and parodic ‘remix’ media in particular. The two approaches set up by the specification for this topic lead students to think about how effective media regulation is, whether it is getting harder to regulate media and whether they think media regulation should be stricter or more relaxed. But the ‘right answer’ is usually ‘it depends’. It depends on whose point of view you take, which examples you are using and what you think regulation is for – who it is protecting, from what and on whose terms. These resources are open to such multiple lines of interpretation and students should be encouraged to think of these debates as complex, fluid and ever-changing. I am delighted to see this fascinating, rich body of evidence from detailed research adapted into these resources for A Level Media students, and hope to see students referencing the research in their work in the future. Comparing the regulatory landscape of online ‘citizen media’ with, for example, ‘old school’ arguments about press ownership, film classification or the more recent ‘moral panic’ about videogame effects, where perhaps the lines of debate are more clearly drawn, will facilitate the kind of ‘present tense’ media literacy the subject is designed to foster. 1709 Blog: In 1709 the Statute of Anne created the first purpose-built copyright law. 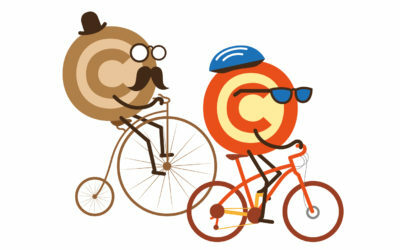 This blog is dedicated to all things copyright. BBC Filmmaking Guide: Common filmmaker questions answered by Tara Pietri, a Solicitor specialising in Film. CEMP: The Centre for Excellence in Media Practice has developed a range of online tools which are now widely used in education and in industry. CIPPM: The Centre for Intellectual Property Policy & Management (CIPPM) is part of the Faculty of Media and Communications at Bournemouth University, UK. 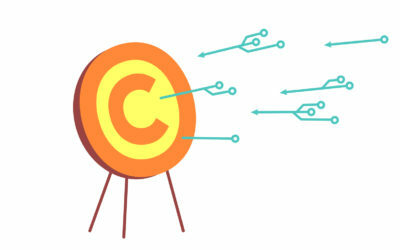 CIPPM was established in 2000 and has rapidly achieved an international reputation for its innovative policy research and its consultancy projects, in particular in the fields of creative industries and emerging technologies with specific focus on copyright law. CREATe: The CREATe Centre, consisting of the offices of a core of individual researchers, and a conferencing facility, is a physical central resource and hub which manages and supports the activities of the CREATe consortium, hosted by the School of Law at the University of Glasgow. 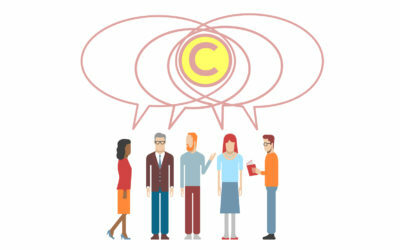 Copyright Hub: The Copyright Hub aims to make licensing simpler and provides information about how you can get permission to use somebody else’s work, or how copyright relates to your own work. EFF: The Electronic Frontier Foundation is the leading non-profit organisation defending civil liberties in the digital world. UK Intellectual Property Office: The UK IPO is the official government body responsible for Intellectual Property (IP) rights in the United Kingdom. These rights include: copyright, trade mark, design and patent. World Intellectual Property Office: WIPO is the global forum for intellectual property services, policy, information and cooperation. Creative Commons Licence: A Creative Commons licence is a type of copyright licence that gives people the right to share, use, and even build upon a creative work. 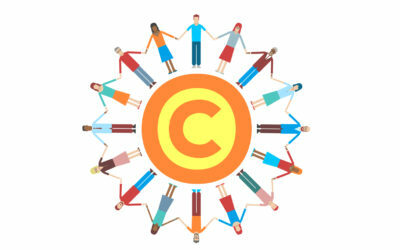 You can read more about Creative Commons on Copyrightuser.org and also on the website of the Creative Commons organisation. Internet service provider: For the purpose of this resource, the term internet service provider is used to reflect the stakeholders Google and Spotify, as they are companies that provide services online. However, the legal definition of internet service providers also includes companies that provide internet access. Orphan works: A work – such as a book, a piece of music, a painting or a film – in which copyright exists, but where the copyright owner is either unknown or cannot be located is referred to as an orphan work. 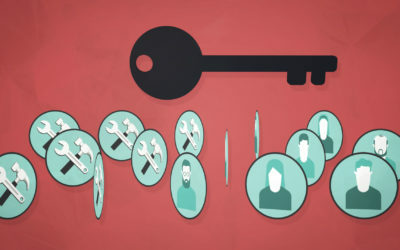 Public domain: When copyright expires, the work enters the public domain, meaning that it can be used and re-used for free by anyone without the need to get permission from the copyright owner. You can find more information about the public domain here. Record label: A record label is an organisation that market and sell music for the creators. They have licence agreements with the artists and pay them royalties when their music is sold.